At age 18, I responded to a paper ad that guaranteed $1,600 a month in base pay. The opportunity turned out to be a door-to-door vacuum sales job. I took it, and spent the next period of my life knocking on strangers’ doors with the goal of selling each person I met a $2,000 vacuum cleaner. To say the least, it was a daunting, and some days seemingly impossible, task. And, it was the most important job I’ve ever had. A teenager with limited experience, I accepted the job not knowing if I had any sales skills whatsoever. But, as soon as I got over my fear of approaching people, I realized that talking with individuals I’d never met was actually pretty fun. Solving their problems was thrilling. As it turned out, I wasn’t selling vacuum cleaners, I was selling more time with the kids, better preparation for the in-law pop-in or just the idea of a fresher home. It was that very formula that catapulted me to the position of top vacuum salesperson in Iowa! The sales bug had bitten me, and I was ready for the next level. I’d become addicted to the feeling of helping others reach their goals while also helping myself achieve financial stability. That’s when I saw an opening for a loan officer. It was easy for me to get excited about helping borrowers solve problems. That career stop-off became a launching pad for starting my own businesses. Fast forward to today, and my third fintech startup, LenderClose, is solving all kinds of problems – for credit unions and their member borrowers. The platform enables a much faster, much more streamlined lender experience, which in turn, makes for a simpler and richer borrower experience. 1. Understand pain points and provide solutions. Most of the people who purchased vacuums didn’t start out asking for a new vacuum. But, they didn’t like tread marks or wear and tear on their carpets. 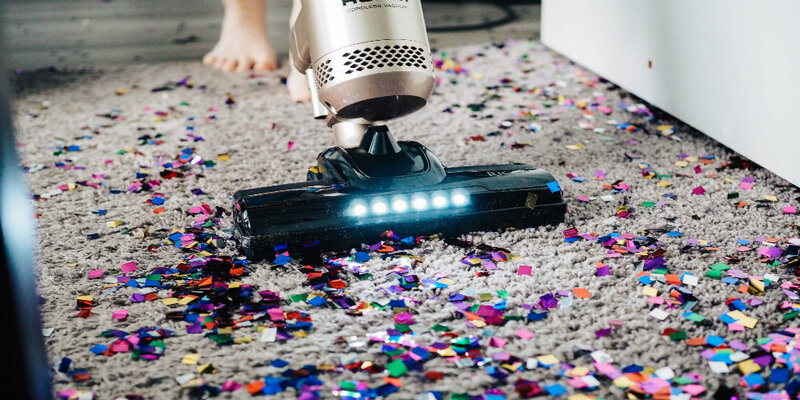 Those were caused by vacuums that couldn’t effectively extract dirt and sand like mine could – and mine would last five times longer. After being a loan officer for a number of years, I saw how laborious it could be for both the lender and the borrower to collect all of the underwriting documents. I knew the technology was there to develop a much better solution. So, alongside an excellent team of lending market experts, that’s exactly what I did. 2. Sell a product that sells itself. I never would have been a successful vacuum salesman if I didn’t believe the product I had was better. When people saw the superior performance for themselves, their minds were made up. We experience a lot of the same as we visit with credit unions today. Once they see for themselves the possibilities of a superior technology, they join us. LenderClose allows lenders to gather all the underwriting information through one platform, instead of going to at least a dozen different places. It’s pay-as-you-use, without minimum purchase requirements, additional fees or exclusive contracts. The efficiency and cost-effectiveness sell themselves. 3. Don’t be afraid to make mistakes. There were many reasons I could have failed as a vacuum salesman, as a loan officer or as a start-up entrepreneur. And, I certainly haven’t done everything right along the way. The fear of making a mistake or wrong decision can be paralyzing. But, not taking action is the bigger mistake. Not dwelling on what might go wrong, and instead getting excited about creating a game-changing technology solution for lenders is what brought us to the high-growth stage we’re in today. More than 100 lending institutions use the LenderClose platform, and we are constantly reinvesting in new technology that solves our customers’ problems.